I have a lot of chipboard in my cupboard...picked up over the years at sales here and there. It is quite the stash, let me tell you, and many of the pieces do not often work for me on layouts. So this week I thought I would try and use a large chipboard piece as the main feature on a card. 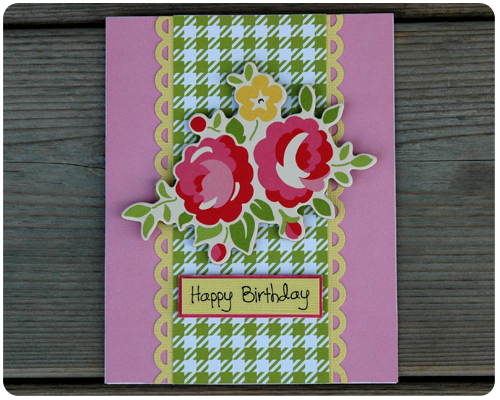 Something about the gingham patterned paper and the large vintage looking flower on this card reminds me of a summer picnic. 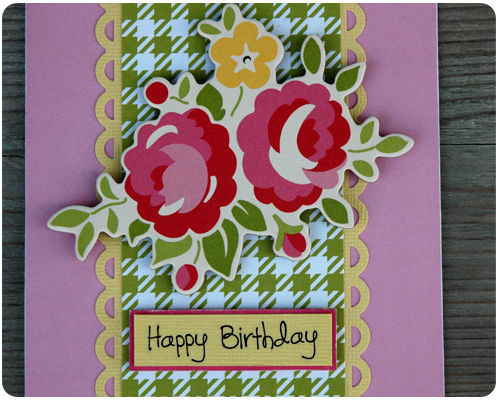 And I love how the patterned paper and the chipboard flower are from two different manufacturers yet they coordinate so well together. It sure is! Thanks for stopping by Lisa. Love your card! Very picnic-y! Thanks Steph. 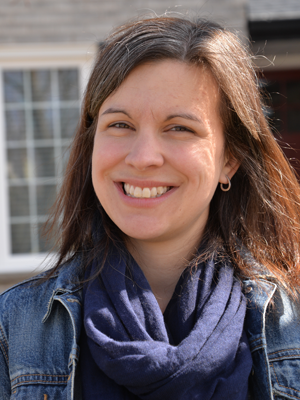 And thank you for stopping by my blog. Love your card, Rachel. So pretty. I like that punch. I am enjoying mine and I may have to purchase some more. Thank you for sharing! Thanks Leslie. I love punches so much...I think I have about 20 - yikes.